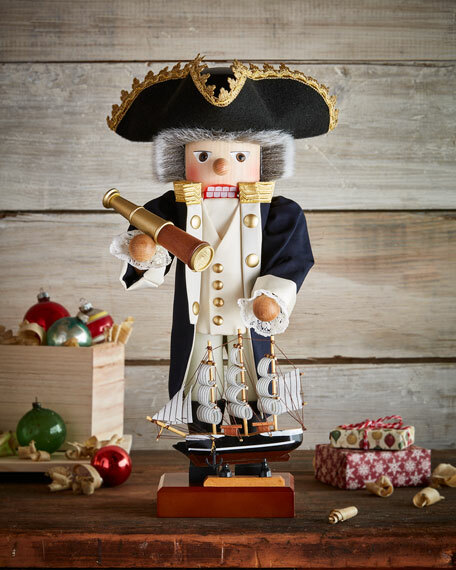 Nutcracker in likeness of Captain James Cook. Handcrafted of wood and fabric. For in-store inquiries, use sku #2606499.